On Tuesday morning, TIME magazine’s short list of eight potential choices for its iconic Person of the Year cover was revealed live on TODAY. The list includes Marissa Mayer, CEO of Yahoo! ; Mohammed Morsi, president of Egypt; Undocumented Americans; Bill and Hillary Clinton; President Barack Obama; Malala Yousafzai, the student activist from Pakistan who survived an assassination attempt by the Taliban; Tim Cook, the CEO of Apple; and the Higgs Boson and Italian physicist Fabiola Giannati. Undocumented Americans in the running. A group of Republican senators has written to top immigration officials in the Obama administration asking them to reveal whether large-scale plans are under way to provide a so-called non-legislative version of amnesty. The lawmakers cite an 11-page draft document written by staff to the director of the Citizenship and Immigration Service that says they are reviewing several executive orders and other mechanisms that effectively would serve as a substitute for comprehensive immigration reforms. 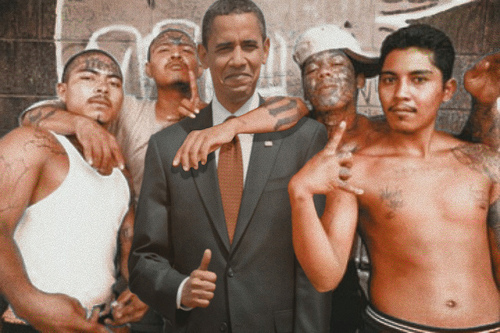 Obama poll numbers so bad, he is looking for creative ways to register new Dems and bypass citizenship inconvenience. scary…. He added, “It is such a toxic subject, such an important time for Democrats.”The Democrats’ meeting provided a window on tensions between the White House and states over the suit, which the Justice Department filed last week in federal court in Phoenix. Nineteen Democratic governors are either leaving office or seeking re-election this year, and Republicans see those seats as crucial to swaying the 2012 presidential race. 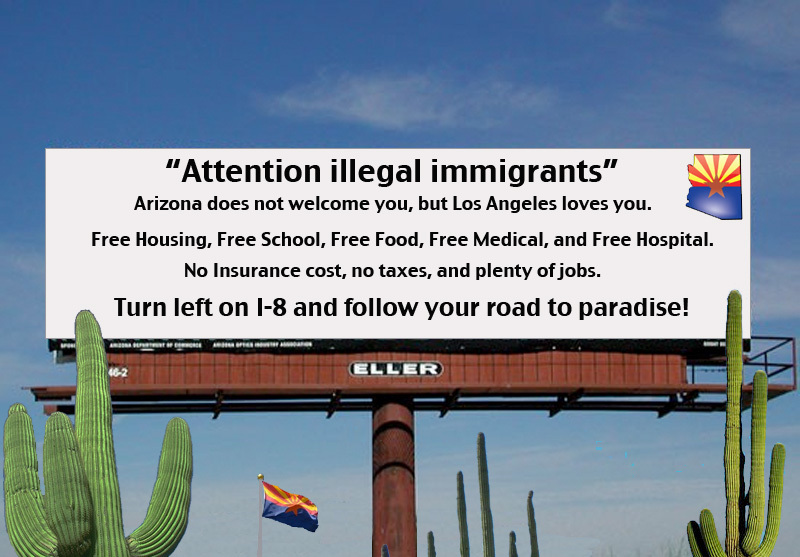 On Tuesday, the Los Angeles Unified School District board voted unanimously to condemn Arizona’s infamous immigration law, SB 1070, and to register that disapproval in the form of lessons on the subject to be implemented in local public classrooms. In response Az has “turned the other cheek” and promoted as well as advertised the LA school system. If you are unsure as to which side to take on the new Arizona bill. Civil rights advocates vowed to challenge the law in court, saying it would undoubtedly lead to racial profiling despite Brewer’s assurances.The only significant profiling I have seen so far in this country, is Obama and the IRS profiling of the top 2% of wage earners in the US.. Nowhere to hide….